I like objects with a story. With a soul. Those that stand apart from the generic offerings of today’s over-cluttered, cookie-cutter boutiques. Those that are one-of-a-kind and bring to life the beauty of artisanal cultures, linking our present with our histories through the thread of ancient traditions. That’s what caught my eye while browsing Tatcha’s “curated gifts”. The brand has already established a cult status for itself in the field of skincare, and now founder Vicky Tsai is turning her eye to a few very carefully selected lifestyle products that both explore and celebrate Japan’s immense cultural heritage. Prettiest of the selection are these Yume bracelets, which wind across the wrists in a sinuous jewel-toned symphony to dress up even the simplest of outfits. 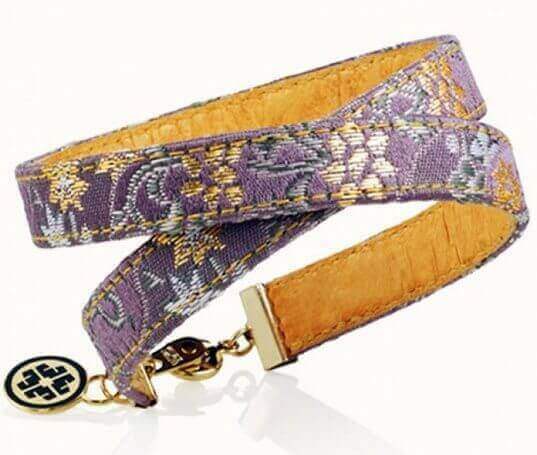 The hand-sewn modern bracelets have been crafted from the cloth of Japan’s kinran – an exquisite and rare fabric threaded with gold and gold leaf, originally meant to be worn only by nobles and brides. Each bracelet is exclusive, hand-cut and available in bold cuff and delicate wrap styles that feel like a puff of silk on the wrists. 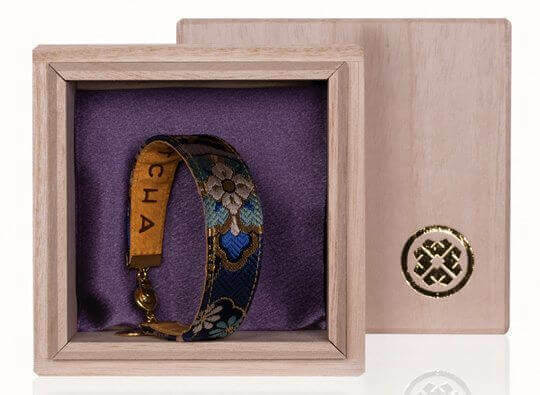 Made especially for Tatcha by Masaki Hirose, whose craft regularly travels from the streets of Kyoto to Los Angeles, Paris and beyond, these limited edition bracelets modernise a timeless treasure… sharing the stories of generations with those who are willing to listen and understand. While, at the same time, looking show-stoppingly gorgeous.